Thomas Ingenlath, CEO of Polestar, Volvo's spinoff performance electrification brand, will be among the speakers at the Automotive News Europe Congress in Turin, Italy, on June 6. Ingenlath was appointed to lead Polestar in June 2017, and he also is chief design officer for Volvo Car Group. Polestar launched as a stand-alone brand in October, and showed the production version of the Polestar 1 at the Geneva auto show this year. The 600-hp 2+2-seat plug-in hybrid coupe will have 150 km (about 93 miles) of electric range and will primarily be available via subscription. Deliveries will begin in 2019. 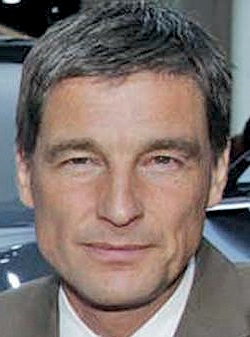 Ingenlath joined Volvo in July 2012 as vice president design after heading the Volkswagen Design Center in Potsdam, Germany. He had 20 years' experience in top design positions at Audi, Volkswagen and Skoda. The 21st Automotive News Europe Congress will be June 5-6 at Italdesign. The eighth Automotive News Europe Rising Stars ceremony will be June 5 at MAUTO car museum in Turin.